Hi. Thanks for checking me out. As you probably have noticed, there are hundreds if not thousands of real estate agents in this area. You are to be congratulated. Unlike most of your peers, you are doing due diligence. You need a Realtor. The question is which one? Of course I would like you to choose me, but I may not be the right one for you. How do you know? Well, I have been doing this for about 15 years. So I do have experience. I am still doing it after 15 years, so I am relatively successful. Most of my clients still talk to me, so I must not be overtly obnoxious. Truth be told, any agent with 15 years of experience could state the same. If you are comfortable with an agent’s style, you should be safe in having them represent you. All agents have to go through extensive mandatory ongoing training and testing. It’s the law. Complete continuing education or you can not hold onto your license. Simple. What makes me different? In addition to being a cracker jack Realtor, I am a professional artist. Every time I assist a client, they support my art. 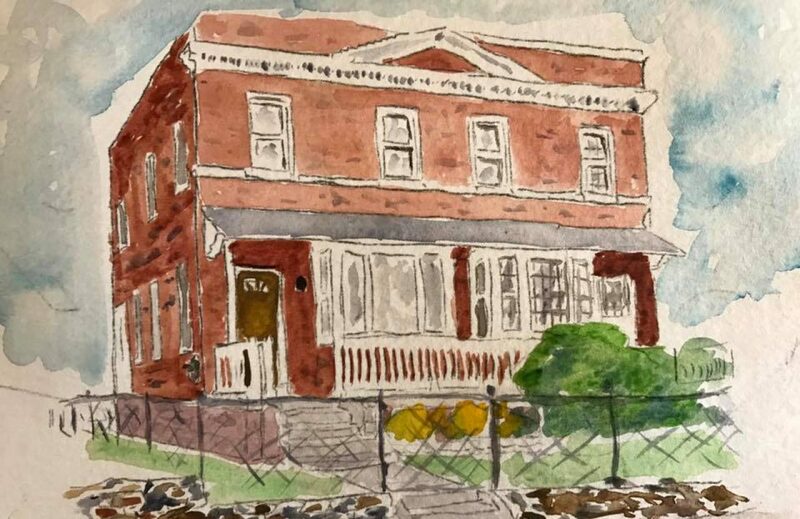 Beginning in 2018, every client that I assist in the purchase of a new home gets a watercolor rendering of their new home. I like to play it forward and share art. In addition, after settlement of every sale, I create a piece of art that is donated to a local charity for auction purposes. If I am your agent, you not only get a new home, you help the community. So, the choice is yours. If you are comfortable, you really can’t go wrong. This entry was posted in love love me do. Bookmark the permalink.